As pollution increases and cities become more crowded, electric bikes have become a popular mode of transportation. They are mobile and get through traffic faster than a car, scooter, or motorcycle and don’t create the pollution of other types of vehicles. Electric bikes also let you make a long commute without arriving sweaty and tired out for work or appointments. 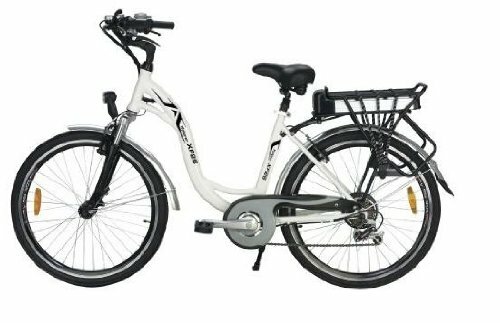 In your search for the right electric bike, you will want to keep in mind how far you plan to go which will help you determine what kind of range you will need from your bike. If you plan to take your bike on the bus, you may also want to consider weight and foldability. As you narrow down your choices, you’ll find a bike that can make your commute less stressful and will take less time. 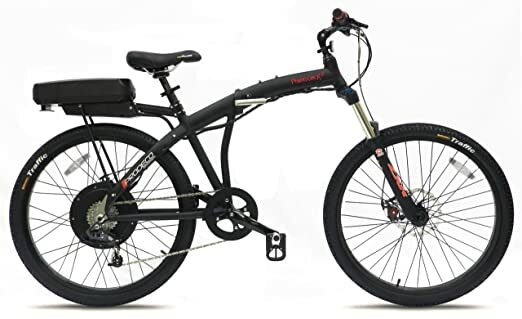 The Prodeco V3 Phantom X2 8 Speed Folding Electric Bicycle (Prodeco) is a 26-inch wheel bike that has an excellent design with features that set it apart from other models. With a sleek black and red matte finish, it looks like a regular pedal bike while providing the speed and comfort you need to commute to work. The Prodeco has a tough aircraft grade aluminum alloy frame. Aluminum is more expensive than steel but it is lightweight which makes it ideal for a folding bike like the Prodeco. Foldable bikes are going to give you the most versatility and convenience as they don’t take up as much space. In a crowded workplace or city, saving space is worth a lot of money. The lightweight aluminum frame and foldability makes it easy to stow on a bus or put in the trunk of your car for transport. The Prodeco gives you more and better options for how and where you travel. Fat, 26-inch mountain bike tires make the Prodeco ideal for a rocky, hilly terrain as well as the smooth paved surfaces you will find in the city. You are going to get a smoother ride over any potholes and road debris as well. These tires can handle most conditions without sacrificing comfort. A shock minimizing 120mm ZXR magnesium suspension fork provides a smooth ride even over rough terrain. The suspension fork helps to smooth out the ride so that you don’t feel like you’ve been tossed and jostled on your way to work. The Prodeco has a SRAM drivetrain with an X7 8-speed derailleur and an X7 8-speed twist shifters to let you easily move through gears and provide the power you need. Specifications put the top speed at 20 mph, but many users have reached 25 mph on open roads at full throttle. There is a twist n’ go throttle that allows you to give half a twist and you’ll move into motorized gears that will let you glide easily. You can easily switch between using the motor and manpower or combine the two to extend the battery life. A direct-drive, rear-wheel mounted 500W motor gives you high-end torque along with good strength and power. This will give you the power you need to handle rolling hills and most streets. However, if you are climbing steep hills the Prodeco may only to able to hold a speed of 10-12 mph with the motor alone. Despite all its power, the Prodeco remains a quiet motor that won’t disturb your ride or pedestrians. A feature that many users appreciate is that the motor is not directly connected to the gears, which allows you to be in any gear when starting from a full stop. While the motor is powerful, its location at the back of the bike prevents you from mounting a rack for carrying a briefcase or extra clothing. Some users have complained about this problem and Prodeco has communicated that it is working on a rack design that would work with the current engine placement. The Prodeco has a 38 volt, 12-amp hour lithium ion battery that can keep the bike running for 28 – 38 miles before it needs to be recharged. It uses a LiFePO4 battery is stable and charges quickly. They can also withstand high temperatures better than other battery designs. This gives you a good traveling range, especially if you switch from the motor to pedaling on flat or easy terrain. Some users had a few issues with design choices such as the gear shift located on the left-hand side, which took some users time to get used. A curved handlebar makes any handlebar attachments fall to one side or the other. The brakes usually need a little adjusting out of the box to get them to the right setting without squeaking. Overall, most users have been very pleased with the Prodeco as it provides a good ride, saves time and money, and is durably made yet remains lightweight. 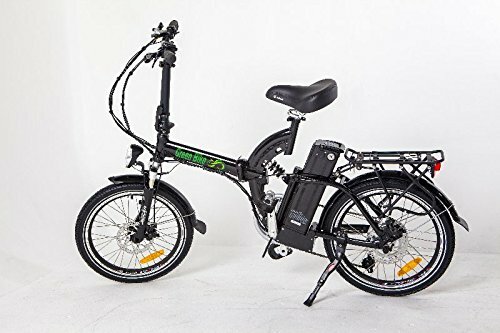 The Greenbike USA Electric Motor Power Bicycle Lithium Battery Folding Bike (Greenbike) has the features and power you need for reliable transportation. It is foldable for easier storage and for using on a public transportation system. The Greenbike has 20-inch wheels with full suspension. The full suspension allows the wheels to track the ground better, which lets you take on hills and corners with ease. It also gives you better control of the bike, making it safer to ride. Full suspension means you will have a smoother ride as it absorbs the bumps of the road. If you aren’t used to a full suspension bike, it might take some getting used to as the combination of shock absorption and tracking makes the bike go faster, especially down hills. There are three modes on the Greenbike – regular biking, pedal assist with six levels, and throttle only. These three modes can be combined to get good travel range. By using the pedal assist levels you can stretch the battery life and when you are in a hurry you can rely on the throttle only mode to get you there quickly and efficiently. With speeds up to 20mph, you’ll be able to commute to work faster than you can in a car or on a regular bicycle. An on-board LCD display with USB port lets you know how fast you are going, how far you’ve gone, and the amount of battery you have left. It is conveniently located on the handlebars so it’s easy to see and won’t be distracting. The front and rear lights are controlled from the LCD display. With the controls at your fingertips, you can turn the lights on and off without having to stop the bike. The handlebars are wide giving good maneuverability. Wide handlebars are convenient when you are riding fast on rough terrain. With the extra speed provided by the motor, wide handlebars will help you stay in better control. An 8FUN 350W motor gives you adequate power on streets and hills. The motor cannot hold top speed going uphill but it will certainly still keep you going and you can always assist with the pedals to give you more speed. A fast charging 36V/13AH lithium Samsung battery that provides up to 50 miles with one charge, keeps the motor going. Many users have been pleased with the battery life of the Greenbike. If you use it on one of the assist modes you can extend the battery life even further. With the Shimano 6 speed shifter, moving between gears is smooth and fast. At its lowest, the seat is at 28.5 inches making it ridable for small adults and teens. It also has a 250-pound weight capacity. It comes in four colors – white, red, silver, and black. The Yukon Trails Xplorer Sport Hybrid Electric Bike (Yukon) is reliable and provides adequate power for a fun ride. It has a 250W, 36V brushless alloy motor that, while not as powerful as the two previously reviewed models, still gives you enough power to take time off of your commute and a top speed of 15 mph. The motor is fed by a LiFePO4, 36V/10AH battery that gives you enough power to go up to 31 mph, depending on rider weight. The maximum weight limit for the Yukon is 250 pounds. If you pedal assist, it can last even longer, providing a good travel range. The Yukon has an aluminum frame which helps to make it strong and cut down on the weight. Even with the aluminum frame it still weighs in around 60 pounds, which seems to be about average for this type of bike. Keep in mind that it may be difficult to lift for those with low upper body strength. The battery pack is removable which can make it charging easier. You won’t have to find a place that can fit your bike, only the battery. You can charge it in your office or home so you don’t have to worry about running out of power when it’s inconvenient. An LCD display clearly shows you the batteries charge helping to prevent you from being caught unaware. The Yukon uses a speed sensor 36V PAS. This system works by detecting how fast the rider pedals and adjusting the motor assistance accordingly. Some users like this system as they don’t have to think about when to turn the motor on or up, while others prefer to be able to manually turn the motor on when they are ready. A Shimano 7-speed drivetrain is of good quality and reliable. You’ll be able to make your daily commute or enjoy a ride through the countryside knowing that you’ll have the gears that you need to make the ride pleasant. Tektro v-brakes are used in the front and rear to allow you stop at a safe distance. With the speed that you can create with the motor and by pedaling, adequate braking is essential for your safety. The suspension of the Yukon is not as good as some other reviewed bikes. You are going to feel more of the road with this one. However, if the streets that you regularly ride on are smooth, that probably isn’t going to make much of a difference. You can fit saddle bags on the back, allowing you to carry what you need for a day’s worth of travel. However, keep in mind that you need to keep the total weight under the bike’s weight capacity. There is some assembly required upon receiving the bike. Some users did have trouble putting it together as the instructions are vague at best. You may need to take it to a local bike shop if you have trouble. 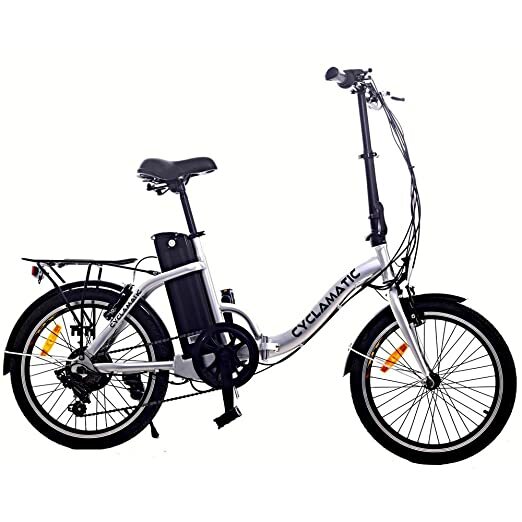 The Cyclamatic Bicycle Electric Foldaway Bike with Lithium-Ion Battery (Cyclamatic) folds in half for easy storage. You can ride it work, fold it up, and carry it to your office and it won’t take up extra space in your garage. The Cyclamatic also works well if you frequently use public transportation as it can be folded to stow on the bus or subway. It folds down at the midpoint of the crossbar and at the stem of the handlebar with a quick release system. Quick fold down is a plus if you need to catch a bus. However, some users found the weight of the bike to be a hindrance to folding it down for commuting. There are three modes – regular bike, assisted, and full power. While in the assisted mode, the bike adds more power according to the power of your pedal strokes, making the bike move quickly and with power. A tilt-lock seat can be easily lifted to allow the battery to be moved for charging. A removable battery is a major convenience for an electric bike. You can charge the battery indoors in your office or at home, which means you don’t need to find a place that can fit the entire bike, opening your charging location options. A 250W motor gives enough power for the bike to travel at 15 mph. That is a comfortable speed to get through a city commute or enjoy a ride through the countryside. It has a 20-mile range. However, that range is based on optimum conditions with no wind or hills. Battery life of the 24V and 10AH lithium-ion battery is good and it has a low self-discharge rate. The Cyclamatic has a twist-shift accelerator with thumb shift 6 speed Shimano gears. Shimano is well-known for the quality of their electric bike shifters. You can rest assured it will work smoothly. A luggage rack on the back of the bike gives you the extra space needed for a day’s outing. For those that have a lot of gear to take with them to work, the luggage rack can hold a briefcase, duffle bag, or equipment so that you can commute with everything you need. The bike has to be assembled before it can be used. Most users did not have any trouble with assembly and, on average it took them about 30 minutes. The Cyclamatic comes with a 12-month warranty against manufacturing defects. This extra protection on your investment is a good idea in case you have any problems with the bike. Electric bikes tend to be heavy because of the extra weight added by the motor and other support structure. Look for frames made of aluminum as it has the strength of steel without the extra weight. Even with an aluminum frame, most electric bikes weigh in around 55 – 60 pounds. Bikes with foldable frames can be convenient for those that want to travel with their bike in the trunk or frequently ride public transportation. While many people like the foldable feature as it works well for storage in the garage, the weight of the bike still makes traveling with an electric bike difficult. Batteries only have a certain amount of charge cycles in them. As you use the battery, it will eventually lose its ability to hold a charge and slowly you’ll find that it runs out sooner and sooner. Battery manufacturers will give you the upper limit of the charge cycles a battery can hold. Assume that it will hold less to give you an accurate picture of battery life. Lithium ion batteries usually hold more power with less weight making them ideal for electric bikes. 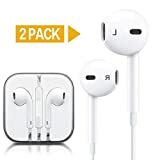 They provide a good charge that will take you on longer trips. The size of the battery can also make a difference. Usually, the more charge it holds, the larger it will be. If you want to take longer rides, you’ll need a bigger battery. However, lighter batteries can work just as well if you plan to pedal assist along the way. SRAM and Shimano are the most well-known makers of gears for electric bikes. Buying a bike that uses one of them will make getting repairs and replacements easier. The gears and shifter should work smoothly and be easy to use. The location of the gear shift should feel intuitive. Electric bikes with full suspension will give you the smoothest ride. They will absorb the bumps and turns of rough terrain. Depending on where you want to ride the bike, full suspension may be right for you. It will give you a better grip on the road which will make riding up hills easier. It can also provide more control while at upper speeds. If you won’t be riding bumpy roads, full suspension probably isn’t necessary. Street riding will give you a smooth ride even without the assistance of full suspension. Before you purchase, it’s important to know what kind of riding you plan to do. Riding through the countryside with hills and rustic roads will require more power and full suspension. While an electric bike for commuting through the city may be more practical if it has a lightweight battery that can be removed for easy charging. Know what features are going to suit your needs. Electric bikes are a fun way to get around and can save you valuable time when traveling through the city. You can bypass long lines of traffic by taking alternate routes that are only open to bikes. E-bikes are also eco-friendly making less of an impact on the environment. Finally, they can be an all-around fun way to get around.